BTC ransomware is a virus that demands cryptocurrency for locked data. BTC ransomware virus is a cyber threat that locks users' data with the goal of extorting money. 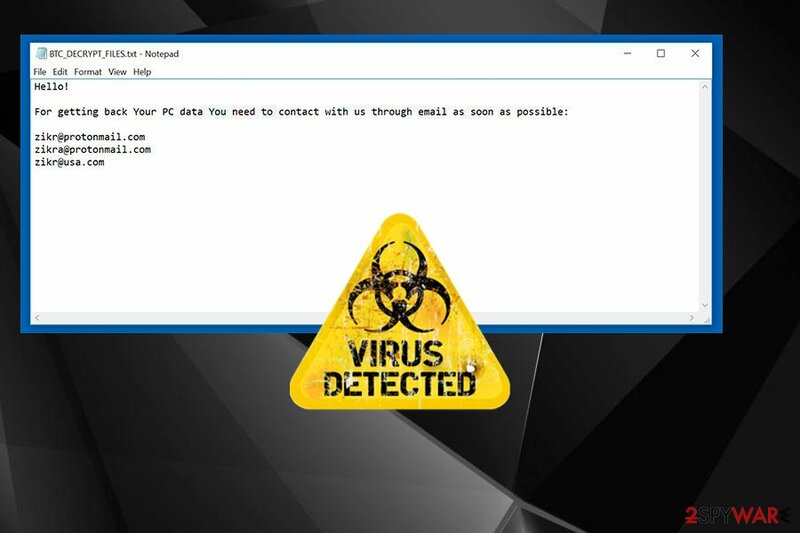 This virus first was spotted at the end of 2016. It is also known as BTCLocker ransomware and hails from the same family as an old Radamant ransomware. However, there are a lof other associations since the name matches with the one used by Dharma ransomware is known for having various similar versions with BTC in the file extension. In this case, cryptovirus appends .id-[victim's_ID]. [btc@fros.cc].btc file extension. After getting on the computer, each of these ransomware viruses starts encrypting files and makes them useless, then marks each encoded file by appending .BTC file extension. As soon as they finish this job, they deliver a ransom note called either BTC_DECRYPT_FILES.txt or IDR__BTC_DECRYPT_FILES.txt. These files are used to inform victims about the state of their computer and ask them the money. The creators of BTC ransomware virus provide three different emails for communication: btc@fros.cc, zikr@protonmail.com, zikra@protonmail.com, and zikr@usa.com. However, you should not consider writing and sending an email to them. They have prepared many blackmailing and psychological terror techniques to encourage victims to make the payment. Unfortunately, there’s no guarantee that they will provide the necessary software for file decryption or it will work properly. 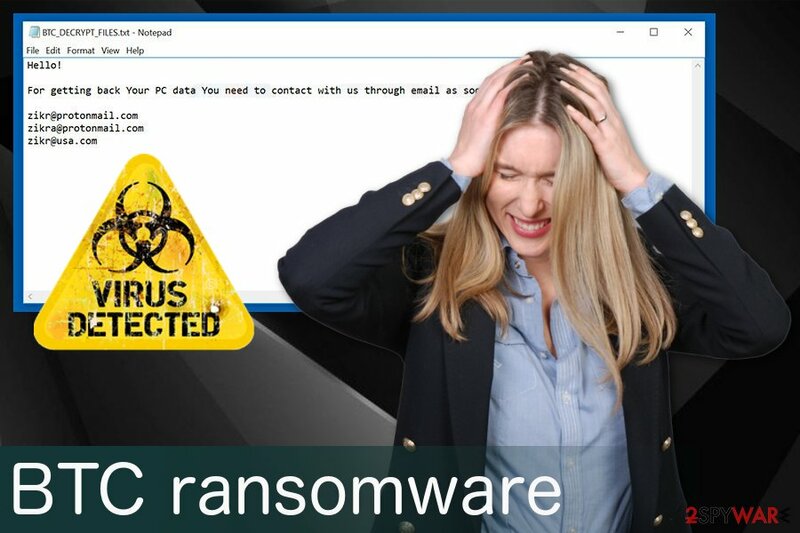 Instead of thinking about this data recovery option, remove BTC ransomware from the computer. Then you will be able to recover your files from backups or using additional data recovery options presented at the end of the article. The creators of BTC ransomware have been demanding from 0.5 to 1.5 Bitcoins from their victims in exchange for their decryption tool. They will do their best to scare you once you contact them. For example, you can be informed on the ransom note, in particular, that a decryption key is the only way to recover your data. Then, you can learn that you will receive the key right after making a payment to them. However, you can hear nothing after paying because you are dealing with hackers. 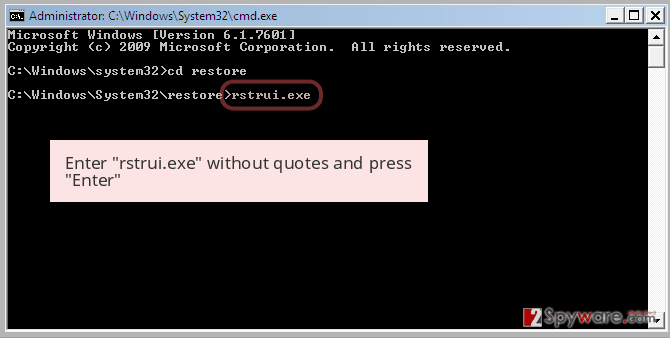 Unfortunately, not many cybersecurity programs detect the main executable of this virus as malicious. 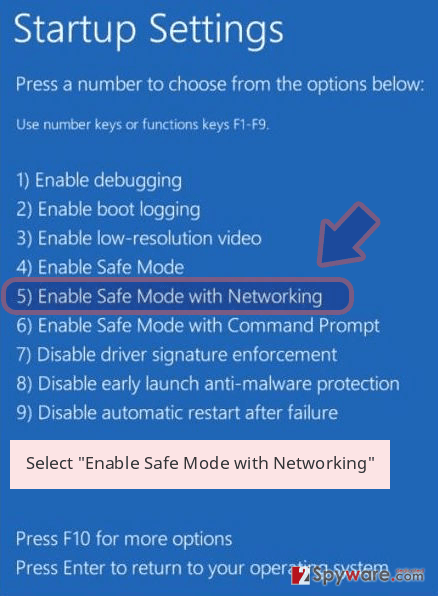 It is possible that you need to enter the Safe Mode with Networking to scan your device using your chosen anti-malware. 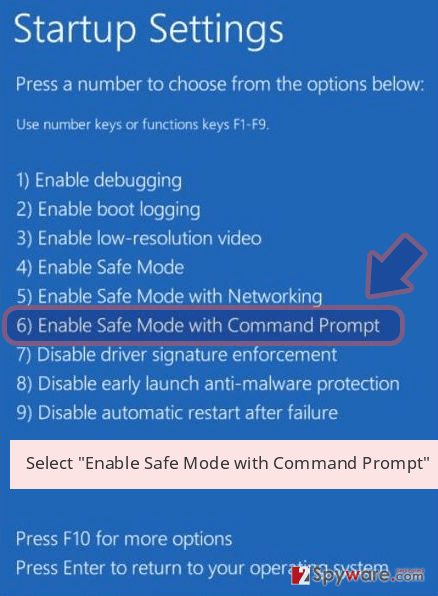 You can follow other instructions below to try other methods of virus removal. 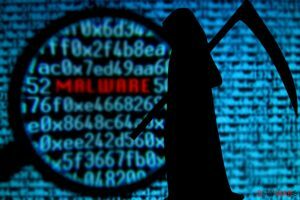 Some ransomware viruses are capable of deleting corrupted files; that’s why it’s crucial to get rid of any malware as soon as it announces about its appearance. 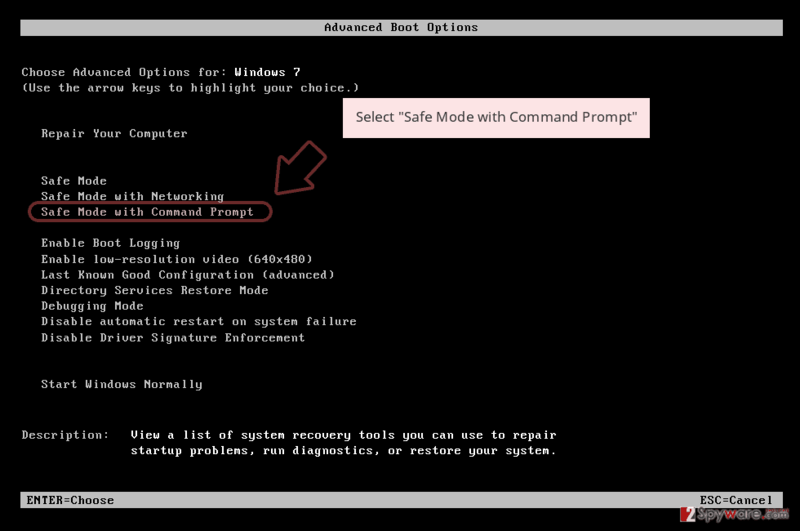 This will not recover encrypted files, but protect your PC from other problems and infections. Therefore, researchers recommend initiating BTC ransomware removal immediately with the help of professional malware removal tools. We recommend using your antivirus and then additionally scanning the system with Reimage or Malwarebytes MalwarebytesCombo Cleaner. BTC ransomware is a program that gives a headache for people who have no backups. It is almost impossible to recover encrypted files after ransomware attack. Ransomware is not distributed using some unique proliferation techniques. Mostly, it has been delivered via malicious emails. It means that you should be extremely careful when opening emails, especially when dealing with emails from unknown people. Please, do not trust those messages claiming that you need to verify the invoice or similar document and stay away from the files attached to them. Keep in mind that cybercriminals have been using various techniques to make these messages appear trustworthy and related to well-known companies. They can not only insert legitimate-looking logos and signatures to the message to make it look credible. They can also create long stories why should the victim open the message and look at the contents of the attached file. If the user falls for such trickery and opens a malicious attachment, ransomware can easily enter the system and encrypt valuable files. To sum up, you need to be extremely careful with what you click on and think twice before opening email letters that come from people or organizations that you have no business with. BTC virus should be eliminated without a doubt as soon as possible. It is an extremely dangerous piece of software that corrupts important files and wants your money, besides, it can install additional malware on the computer, so it goes without saying that the sooner you remove it, the better. To remove BTC ransomware, use anti-malware software that you already trust or choose an alternative tool. We recommend using one of these programs: Reimage, Malwarebytes MalwarebytesCombo Cleaner or Plumbytes Anti-MalwareMalwarebytes Malwarebytes. A program designed to fight malware can eliminate virus effectively. 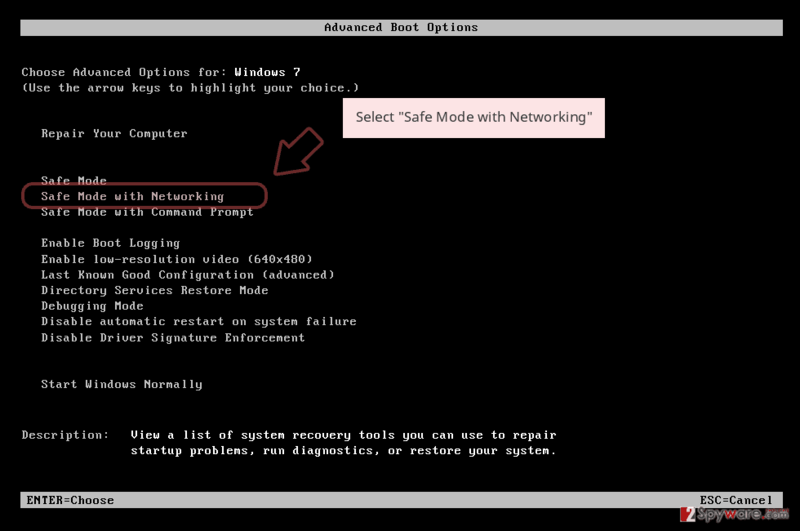 Keep in mind that malware might block access to the antivirus program, in this case, you will have to reboot your PC to the Safe Mode with Networking to successfully perform BTC ransomware removal. You can find detailed virus termination instructions down below. BTC ransomware can try to prevent its removal by blocking the remover. If you can't launch your removal software, please, follow these steps to disable your ransomware. Log in to your infected account and start the browser. Download Reimage or other legitimate anti-spyware program. Update it before a full system scan and remove malicious files that belong to your ransomware and complete BTC removal. 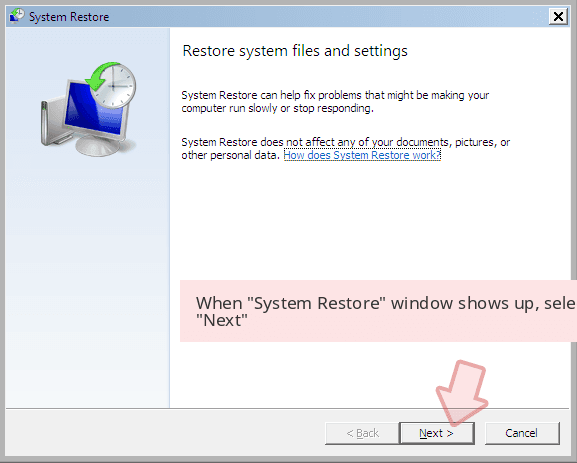 When a new window shows up, click Next and select your restore point that is prior the infiltration of BTC. After doing that, click Next. 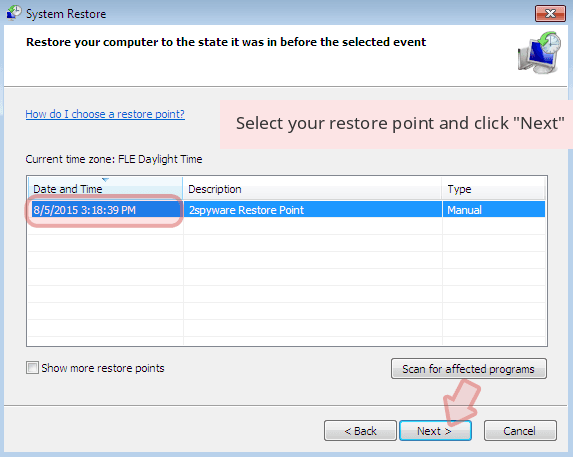 Once you restore your system to a previous date, download and scan your computer with Reimage and make sure that BTC removal is performed successfully. Guide which is presented above is supposed to help you remove BTC from your computer. To recover your encrypted files, we recommend using a detailed guide prepared by 2-spyware.com security experts. Unless you have a data backup, it is impossible to recover data. However, there are some data recovery methods that you should try – they might help you to restore at least some of your files encrypted by BTC ransomware. Data Recovery Pro is a reliable software that can restore encrypted, corrupted, or deleted files. Use it as explained below. If you are desperate to recover your encrypted files, you can try using Radamant decrypter. However, we cannot guarantee that this tool will work for you because it is designed for another ransomware virus. ^ Margaret Rouse. What is encryption?. Techtarget. Search security. ^ Danny Palmer. Phishing warning: one in every one hundred emails is now a hacking attempt. ZDNet. technology news, analysis, comments and reviews. ^ Saqib Shah. PayPal WARNING – don’t open this scam email or your computer will get infected. Thesun. Latest news. This entry was posted on 2018-10-04 at 09:19 and is filed under Ransomware, Viruses. How did you remove BTC virus?